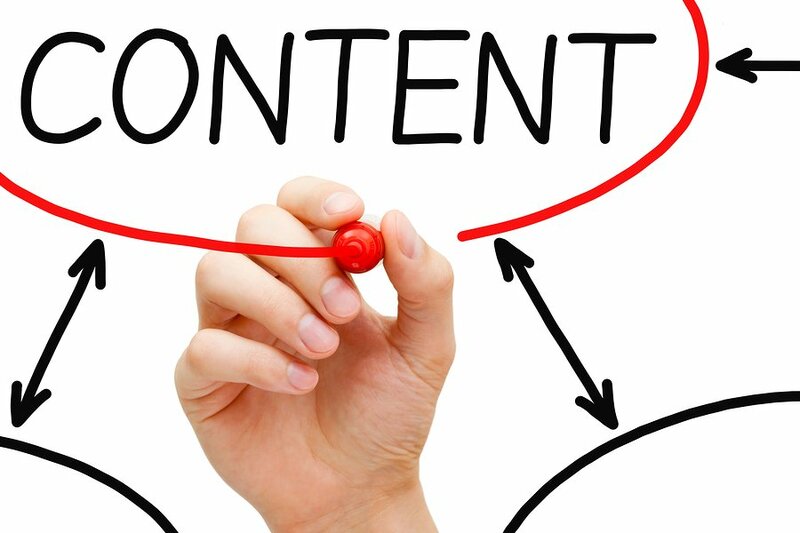 Content marketing is hot right now. But just because everyone’s doing it, doesn’t mean it’s easy. Great content takes a lot of time and careful thinking. The good news? We’ve put together a 5-step guide that can help you remember the most important elements of a great content campaign. We’ve even gone to the trouble of naming each step with a word that starts with the letter “C” so that you’ll never forget these tips. You’re welcome! Here’s to a great 2014, filled with content marketing joy. Before you start putting content out into the world, you’ve got to think hard about the objectives you hope to accomplish. In other words, you’ve got to calibrate and have your KPIs ready when you get started so that your strategy is always dictating your content rather than the other way around. And when it comes to the content that’s being dictated, remember that you’re not just calibrating what you write but also the tone in which it’s written. In some cases your calibrations may tell you that you don’t need to do much content marketing. That’s fine too. Content marketing isn’t for everyone. But if you do decide it makes sense, don’t assume you need another agency. No one knows your product or ideas better than you. Now you’ve calibrated and decided to move ahead with your content marketing, it’s time to create. Don’t be intimidated. Content is everywhere – from social media, to games, videos, books, white papers, and on and on. You don’t need a two-year plan or an extensive video team to make a short documentary. When you’re getting started, what you need is to be nimble, to first see what your audience finds engaging, and then to keep going and going. Remember that once you start these conversations, you can’t always control where they will go. That’s how it should be. Your role is to be a part of a conversation, and, as long as you’re an interesting conversationalist, your audience will enjoy your presence wherever things go. Don’t forget that what works at one stage of the sales funnel might be very different from what works at another stage. Curating is a big part of most content campaigns, and often what you share from other sources is as important as the content you create yourself. Don’t assume you can just grab and share the first interesting link you see. Finding and organizing good content is a skill. Often the most powerful forms of content are the ones that highjack the news, that is, to take the news that’s already out there and show how it’s relevant to your product and story. That, in short, is how you make yourself a part of the conversation. And once you hit on a great story, don’t just mention it once and move on. There are a lot of publishers out there who will be interested in a well-told story, whether it comes from a brand employee or an independent journalist. If you’re onto something good, you can often rework the same basic concept again and again to get as much leverage as possible out of the material. Once you’ve created your content, it’s time to circulate. All too often brands are happy to amass views without thinking about who is actually seeing the content. That’s a recipe for a failed strategy. You’ve got to make sure that the right people are seeing your content, and that means that you’ll have to think hard about which distribution channels make the most sense. Is your audience on Pinterest? Instagram? Do your fans watch videos? Read articles? Until you have a clear understanding of how your audience consumes content, it will be hard to get circulation right. But wherever your audience is consuming content, you’ll want to make it as easy as possible for them to share it. Also, while digital marketing automation can get your content out there into the world, don’t dismiss direct mail. It’s still a very valuable marketing tool. If you’re mapping your content out carefully, each stage of the funnel will have a different set of KPIs. But content marketing, alas, shares the same pain as display. It’s often hard to measure its impact because click-throughs don’t tell the full story. Therefore, it’s important to look at your audience’s actions across all channels and don’t underestimate the power of anecdotes from clients and prospects. Those stories can’t tell you everything, but they’re important data points when traditional metrics, such as ROI, can’t give you the full picture. Are you using these 5 C’s to your advantage?